Actor Chris Pine, who stars in the newly released Hell or High Water and led this summer’s blockbuster Star Trek Beyond, does two opposite but equally strengthening activities, to keep his body in amazing shape: yoga and boxing. Though the Hell or High Water role didn’t require an exceptionally pumped up or well-defined form, Pine still looked incredible playing one of two brothers who repeatedly rob the bank threatening to foreclose on their family land. He likes the seemingly opposing workouts because he says they help him stay close to his fighting weight. Pine’s trainer, Mark Wildman, set the actor up with a specific routine for getting him into Starfleet shape, a form he presumably kept when he started filming Hell or High Water. The actor’s physique has been fairly consistent throughout much of his career. Unlike most actors in Hollywood, Pine has had no desire to build really large muscles and prefers more “contiguous muscles” that are “more natural,” says Wildman. One of the fitness activities Wildman planned for Pine utilized Clubbells, bowling pin–shaped weights that are lifted and maneuvered much like kettlebells. Users swing the weight in a number of ways and different movements, depending on the muscles that need to be targeted. The motion strengthens muscles and surrounding connective tissue. Clubbells are hard to find in many gyms, so the exercises can be done with a common dumbbell as well. Can You Handle Chris Pine’s Daily Workout Plan? Chris Pine’s Clubbell workout routine is very precise. You will want to do the workout no more than twice a week, and on a day that doesn’t include other weight training. Finish one set of each exercise and then repeat it for four more rounds. Do reps of each move for 30 seconds and then rest 30 seconds, adding up to no more than a 28-minute workout. Don’t try to be a hero the first time out of the gate. Choose weights that you can handle for the duration of the workout. Other activities Chris Pine likes to do to stay in shape for his roles is regular jogging and hiking. Of working out, Pine once told Men’s Health he does it because “that’s [his] job”. The Zen of working out is what he enjoys the most, the act of getting out of his head and doing something physical. He firmly believes that if you’re thinking of anything else, “you’re not working intensely enough.” He definitely has a valid point there. He did want to bulk up a bit for Star Trek, so he did a combination of yoga, circuit training, boxing, and weight lifting. For Chris Pine’s height and body statistics (reportedly 6-feet, 165 pounds), the combination is good for keeping this actor looking long and lean and toned. As for diet, Pine has said that he has a high metabolism, so much so that he packs snacks with him wherever he goes. His diet is focused on eating high-calorie foods that are filled with nutrients, not empty carbs. 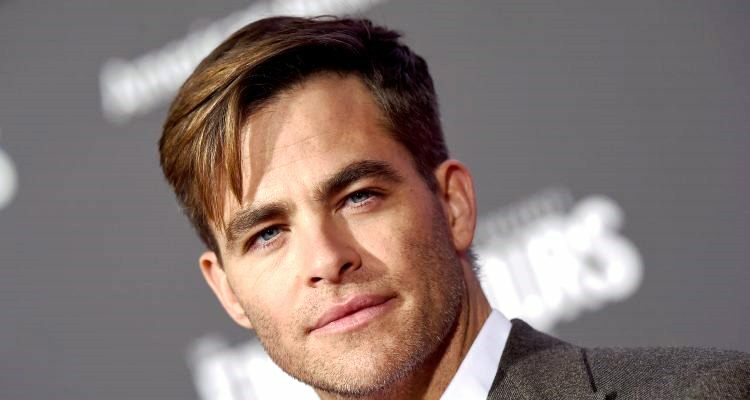 Sotoodeh, S., “’I don’t think that’s healthy’: Chris Pine on why he opted not to bulk up by eating ‘7,000 calories’ a day for Star Trek Beyond,” Mail Online web site, June 25, 2016; http://www.dailymail.co.uk/tvshowbiz/article-3659238/I-don-t-think-s-healthy-Chris-Pine-opted-not-bulk-eating-7-000-calories-day-Star-Trek-Beyond.html, last accessed August 29, 2016. “Top 10 Fittest Hollywood Actors 2016,” Health Fitness Revolution web site, March 15, 2016; http://www.healthfitnessrevolution.com/top-10-fittest-hollywood-actors-2016/, last accessed August 30, 2016.